To anyone who knows me personally (and perhaps also to readers of this site!) my obsession with dollhouses is old news. But sometimes I wonder – have I seen them all? Should I try to get over this obsession and move on with my life? But then something like this comes along, and (to my relief) the answer is a resounding no! 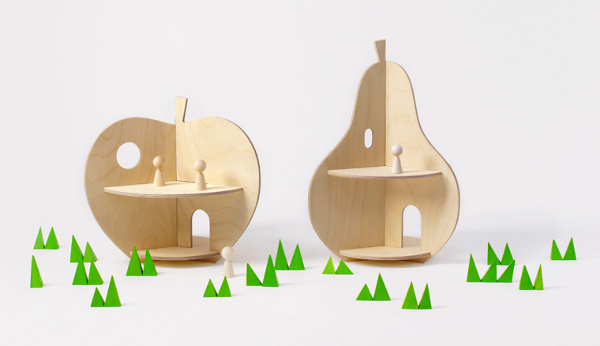 These lovely birch creations are from Rock and Pebble, and are the appropriately named Apple House and Pear House. Really, they’re for peg people, or at least very small people, because unlike lots of dollhouses, they aren’t very tall. At about 40cm in height, they’re a great compact dollhouse and their sustainability credentials are pretty good too – made by hand from untreated sustainable natural birch, they come to you flat packed and then you simply slot them together. What I really love about them is that they are open on three sides, which means more than one child can play at them without having to jostle for room. If you wanted to, you could paint or otherwise decorate them, but I have to admit I think they are simply stunning just as they are. What’s more, if you’re an adult with no good reason to own a dollhouse but want one anyway, they’d look pretty good as a display piece anywhere in your home. Why should the kids have all the fun? 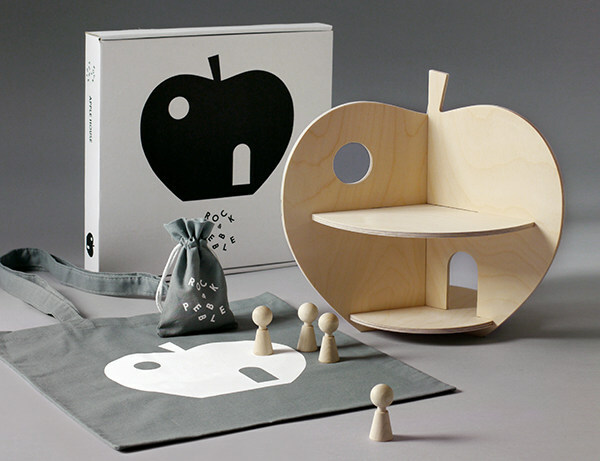 Both the Apple House and the Pear House are $110 at Leo & Bella. 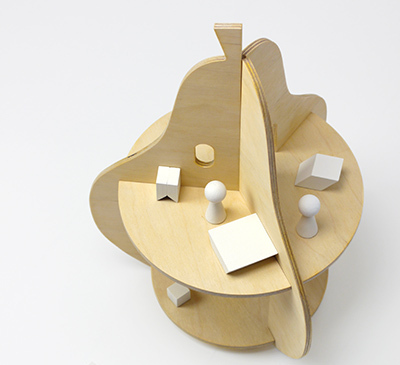 Find more beautiful dollhouses in our Babyology archives.